Like many networking platforms Cisco ACI offers the ability to have multiple tenants. A tenant is generally a container that allows you to keep resources isolated. For example I might have tenants for dev and prod or I might have separate tenants for each department in my company. Usually public cloud providers will have a tenant for each of its customers. It’s a security construct that allows you to basically keep things separated. 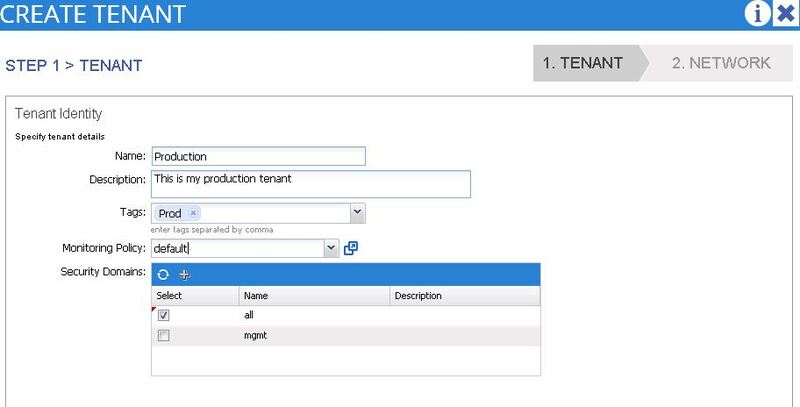 In this blog I’ll go through creating a tenant using the ACI APIC GUI.